Thanks to Helen Wyman and everyone who bought tickets. With your support we were able to fund the u23 women athletes! Charm City CX has been pushing the boundaries for International race promotion in North America for 13 years and this season’s weekend of C1 and C2 racing was no different. Alongside their desire to progress cyclocross in the USA, the promoters have a history of pushing for equality in the sport and furthering the opportunities for women racers around the world. This year’s promotion held a special opportunity for five u23 riders, who received a free entry. “Linked to our support of Helen Wyman and her work to advance women’s CX, we want to offer five young riders the chance to race our C1 event without an entry fee. Helen sadly can’t be with us this season, but we feel that this opportunity will ensure the spirit of what Helen has been pushing for over the past years will be alive at the race” said Race Director Kristopher Auer. Alongside this opportunity, the race has also launched a race raffle via bikereg, where an opportunity to win some Helen Wyman swag has been posted. 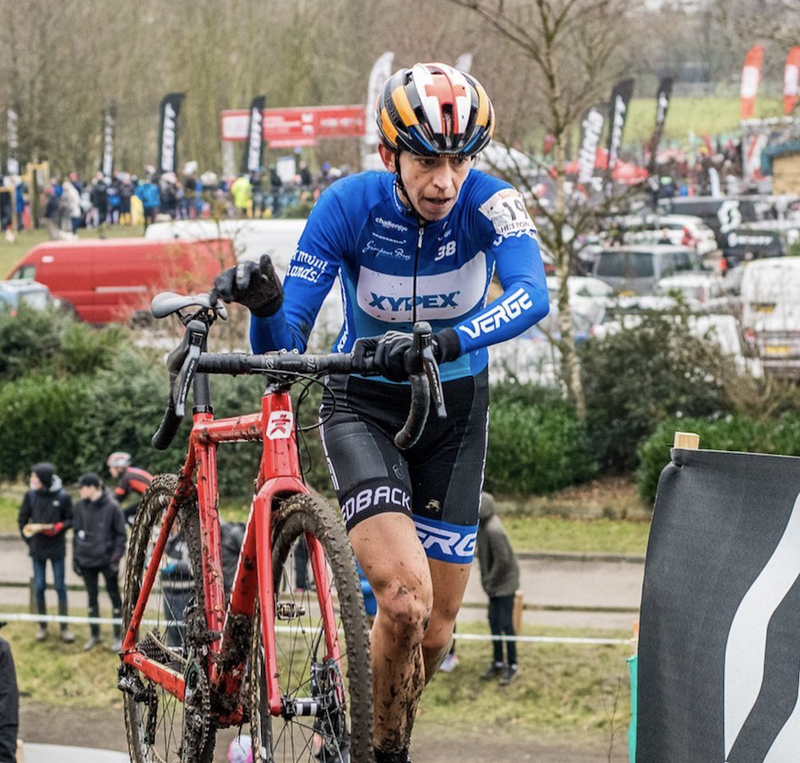 The swag includes a signed, one-off, blue ‘Xypex-Verge skinsuit, as used at the UK National Championship, where Helen took her 10th win in the Elite Women’s race. Tickets are $5, with five tickets for $20. There are 200 tickets and if all are sold, another 5 free places will be offered in the u23 women’s C1 race to be held on Saturday, October 6th. Raffle prizes included 5 Verge Sport swag items, Challenge Tires, race day bags and signed rider cards. “Sadly I couldn’t be at Charm City CX this season, but I will be back. It’s such a great event, at a versatile venue, I definitely missed it. This past summer I struggled with issues linked to Vertigo, and had to head back to Europe after the first two world cups events to continue my work on getting rid of this issue. It feels good that even in my absence Event Directors Kristopher Auer and Jay Lazar continue pushing boundaries for women.” Helen concluded.